Can I Ever Sue My Employer For A Work Injury? On the overwhelming majority of occasions, if you are injured at work, your remedy is through workers’ compensation system. The inherent bargain made by the majority of employers is that the employee gives up their right to sue if the employer agrees to cover injury costs, and for the majority of employees, this system works. However, there are rare exceptions where an employee cannot or will not be made whole by workers’ compensation, and in those cases, other methods to obtain relief may be available. One common situation in which an employer may be liable to an employee is if they simply do not carry their required workers’ compensation coverage. Florida law has fairly strict requirements for employers, mandating coverage in various fields depending on the number of employees a business has – for example, a construction business must provide worker’s compensation if they have 1 or more employees, while a non-construction business must only do so if they have 4 or more employees. It is possible for employees like owners or officers to file for exemptions from the laws (which is sometimes done for reasons related to costs or to personal taxes), but only on an individual basis. 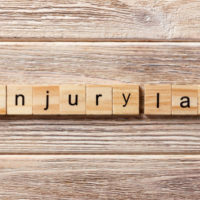 If you are injured and your employer ought to be carrying coverage, but is not, you may pursue a lawsuit in civil court, but it is also a good idea to advise the proper authorities, which you can do anonymously. The Division of Workers’ Compensation has a registry of noncompliant employers, and the penalties for appearing on it can be significant – thus, a useful deterrent for an employer who has been trying to cut corners. The other common situation in which an employee is encouraged to bring suit against their employer for a work injury is if that injury is caused by the employer’s “intentional or egregious” conduct – in other words, that the injury was caused at least in part by malice or indifference on the part of your employer. If you, for example, are vocal in your disapproval of a certain company policy, and your employer decides to harm you physically, this is behavior that would fall under the liability exception. The relevant statute states that in order to be able to obtain compensation from an employer in court, the employee must be able to prove by “clear and convincing evidence” (which is a specific legal standard) that the employer (1) deliberately intended to injure the injured employee; and (2) engaged in conduct, or allowed conduct to occur, that they knew from past experience would almost certainly cause injury or death to the employee – without telling the employee. This may appear complex, but it boils down to a simple question – did your employer either injure you deliberately, or allow you to be injured when they could conceivably have averted the situation? If not, you likely will be unable to bring suit. Being injured on the job can throw anyone out of their comfort zone, but if the comfort of the workers’ compensation system is not available to you for some reason, or workers’ compensation alone would not make you whole, you may have other options. The experienced Winter Park workers’ compensation attorneys at the Hornsby Law Group can sit down with you and try to work out where to proceed from here. Call us today to set up an initial appointment.